I thought y'all needed a laugh!!!!! But our few guy readers could probably use the laugh....BBBWWWAAAAHHHHHAAAAA!!!!!!!! NOTE: DUE TO THE COMPLEXITY AND DIFFICULTY LEVEL OF THEIR CONTENTS, CLASS SIZES WILL BE LIMITED TO 8 PARTICIPANTS MAXIMUM. Step by Step, with Slide Presentation. Which Takes More Energy - Putting the Toilet Seat Down, or Whining About It for 3 Hours? Meets 2 weeks, Saturday 12:00 for 2 hours..
Is It Possible To Drive Past a Walmart Without Stopping? Meets 4 weeks, Saturday 10:00 PM for 2 hours. Meets Saturdays at 2:00 PM for 3 weeks. Curling Irons--Can They Levitate and Fly Into The Bathroom Cabinet? Help Line Support and Support Groups. Can a Bath Be Taken Without 14 Different Kinds of Soaps and Shampoos? Monday at 8:00 PM, 2 hours. Health Watch--They Make Medicine for PMS - USE IT! Three nights; Monday, Wednesday, Friday at 7:00 PM for 2 hours. I Was Wrong and He Was Right!--Real Life Testimonials. Tuesdays at 6:00 PM Location to be determined. How to Parallel Park In Less Than 20 Minutes Without an Insurance Claim. 4 weeks, Saturday's noon, 2 hours. Learning to Live--How to Apply Brakes Without Throwing Passengers Through the Windshield . How to Shop by Yourself. Meets 4 weeks, Tuesday and Thursday for 2 hours beginning at 7:00 PM. 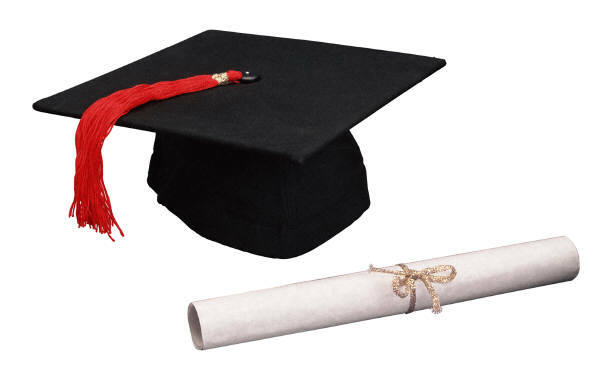 Upon completion of ANY of the above courses, diplomas will be issued to the survivors. And to all your gal friends who have a sense of humor! I hope this last line is enough to save my A@@!!!!!! HehehehHahahaHeheeee! I mean... I don't think this is appropriate. HeehehehehHahahaa! HAHAHAHAHAHA!!!!! That is hilarious. I love it. I don't necessarily agree with any of it but I can appreciate the humor lol. Tee Hee, this is too funny! I love it! :) Thanks for the laugh! oooooooh! You are soooo bad! Rach, girl...I think that a little payback is due! Don't even bother adjusting the thermostat. It's more ecologically friendly to put on extra layers of sweaters. It takes about 2 seconds for the toilet seat to get put DOWN. Why don't you clean it sometime too?? Follow up class will be Is It Possible to Drive Past Cabela's Without Stopping? I straighten my hair. And the flat-iron lives in my room. If you're going to whine about me asking the difference between a quarterack and a runningback-whatever-it-is then how about I go shopping with other weekend widows and let you watch football by yourself? And get your own beer while you're at it! I only use 3 shampoos and 2 soaps. Which everyone knows doesn't equal 14! PMS? I conceal carry. What did you just say? I am. never. wrong. It's inconceivable! Parallel parking? What's the problem? It's your fault for buying a gi-normous truck with shiny chrome fenders! I'd rather shop by myself. Then you aren't around to tell me "hurry up, would you? I need to get to the tool store." "Where's the ice cream?" "Oh look, fishing gear!" You truly have a dizzying intellect :) All in good fun though! Cute, but turn around is fair play. Oh buddy! You were itchin' for a bruisin' weren't you? 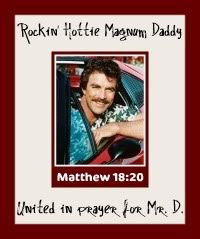 And people act so shocked when we try to tell them just how ornery our husbands are. Sheesh! 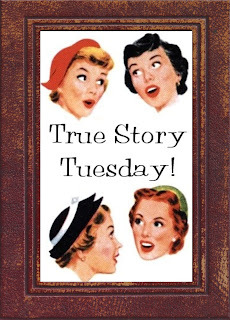 True Story Tuesday - I ate WHAT??? ?